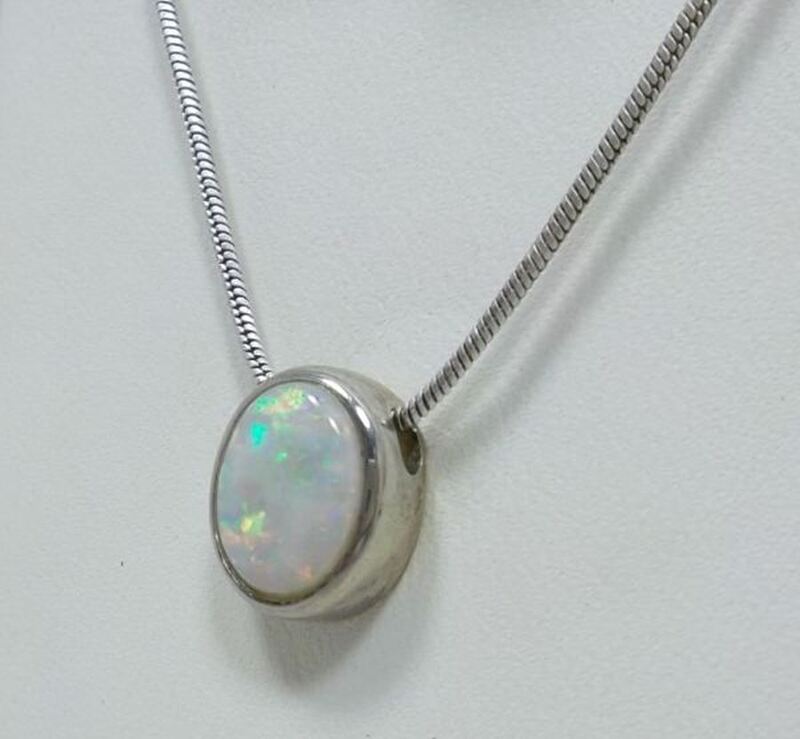 An Opal and Sterling Silver oval shaped slider pendant. Supplied on a quality solid Sterling Silver snake chain that is 450 mm in length. 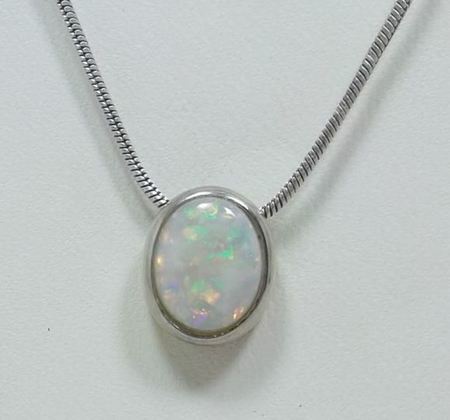 Pendant size is 13mm long.